Read to Your Heart’s Content With New Romance Ebooks! Do you enjoy swooning over passionate dukes, troubled cowboys, sassy princesses, and rebellious Amish daughters? We’ve got a summer treat for you! For the next month and a half, San Mateo County Libraries is trialing RomanceBookCloudopens a new window, a curated collection of romance eBooks! This collection features some of the biggest names in romance, such as Sabrina Jeffries, Deborah Smith, and Lisa Mondello along with some indie and up-and-coming authors you might not know about. Think romance is all about handsome lords and waiting ladies? Think again! RomanceBookCloud eBooks cover a wide variety of romance subgenres such as LGBTQ, paranormal, time travel, thriller, and more! There are about 1,800 titles and the collection is always growing. RomanceBookCloud is easy to use – even if you’ve never used an eBook before! There’s no software or app to download, no checking out, and no holds. You simply click on a book – and read it! You can read books directly on your web browser – both on your mobile device and computer! Our trial runs until Friday, August 31. If you like RomanceBookCloudopens a new window, please let us know in the comments below and make sure to fill out our surveyopens a new window. 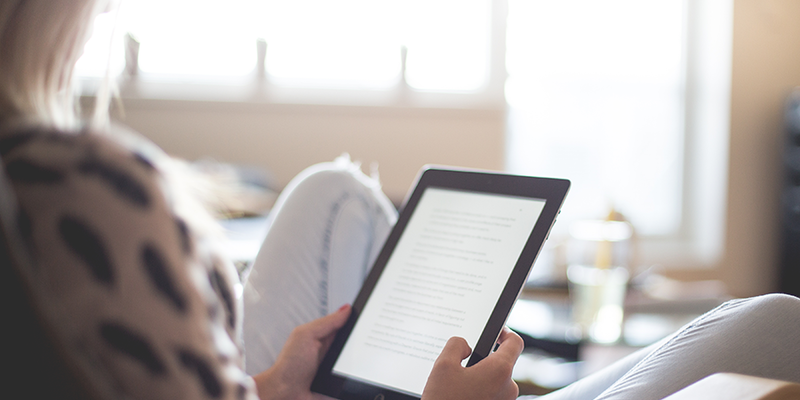 Your feedback will help us determine whether we should continue to offer this eBook service.